[方舟：生存进化 升级档&免DVD补丁发布帖【7.21更新v187.22升级档+游侠原创免DVD补丁】(修正了无法正常开始游戏的BUG) - 方舟：适者生存+方舟：生存进化 - 游侠NETSHOW论坛 - Powered by Discuz! A new Dino Dossier has been revealed, this one is everyone’s favorite pack hunter, the Compsognathus! 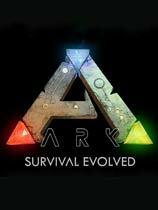 We’re pleased to announce that we’re going to be partnering with Epic Games to bring the full power of the Unreal Engine 4’s tools and development resources to the ARK: Survival Evolved modding community, with our very own and one of the first custom mod editors. If you’ve purchased a copy of the game you can begin modding immediately, just check out the following tutorial on how to mod[www.playark.com] to get started! We’ve got our very own Workshop here on steam, as well as our own Unreal Engine ARK Modding forum![forums.unrealengine.com]. So if you’re interested in playing some of the mods & maps already posted, giving modding a try yourself, or learning some more about how it works, you’ll definitely want to check these out! Fully updated to include the latest code & content, as well as our improved built-in-Editor Steam Workshop Uploader! ARK Game Data Override: Allows you to create your own survival adventure game with total capability to override the core “gamedata” of ARK in your mod, what this means is that EVERYTHING can be changed, from Engrams to Items to Character States to Dossiers! A new Dino Dossier has been revealed, this one is everyone’s favorite armored rock-crunching fish, the Dunkleosteus! A new Dino Dossier has been revealed, this one is everyone’s favorite fearless flyer, the Dimorphodon! A new Dino Dossier has been revealed, this one is everyone’s favorite small and speedy carnivore, the Microraptor! GMT+8, 2019-4-25 16:52 , Processed in 0.277343 second(s), Total 18, Slave 14 queries , Gzip On, Memcache On.